I’ve always been really interested in twin phenomenon. A few years ago, I watched a documentary about it, and there were all these cases of twins being able to sense when something had happened to their sibling. And I happen to know a set of red-headed twins: my husband’s sisters. They have very different personalities, but their bond is incredible – I don’t think I’ve ever known a closer set of siblings. So with all that in mind, I thought it would be interesting to create a situation where the main characters’ bond was essential to the story. I did a lot of reading about twin phenomenon, and what’s most fascinating about it, to me, is how overwhelming some of the evidence is. I’m a fairly skeptical person, and I tend to mostly dismiss the paranormal – I’m not a big believer in ghosts, psychics, etc. But as I read more and more about twins, I found myself having a difficult time coming up with any rational explanations for some of the cases I encountered. In a way, the book was my attempt to sort through all of this seemingly inexplicable information. Once I finished writing it, I realized that I was still just as confused and mystified as I’d been at the beginning. But I’m okay with that. It keeps life interesting. 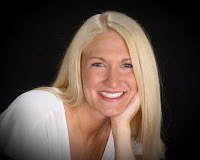 Jessica Warman is the author of Breathless, which received three starred reviews and was an ALA Best Book for Young Adults, and Where the Truth Lies. The idea for Between came from an incident in her childhood, when a local boy went missing after a party on a yacht (he was eventually found, alive). You can find out more about the author at her website here. 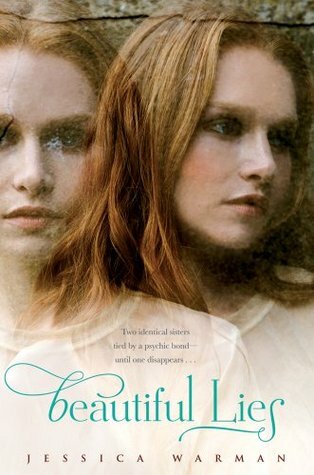 Check out the Goodreads page for Beautiful Lies here.